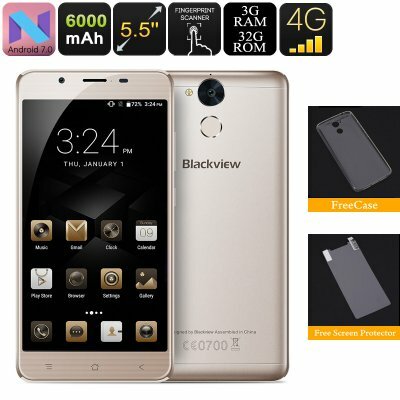 Successfully Added HK Warehouse Blackview P2 Lite Android Phone - Octa Core CPU, 4G, 6000mAh Battery, 3GB RAM, Fingerprint Scanner (Gold) to your Shopping Cart. 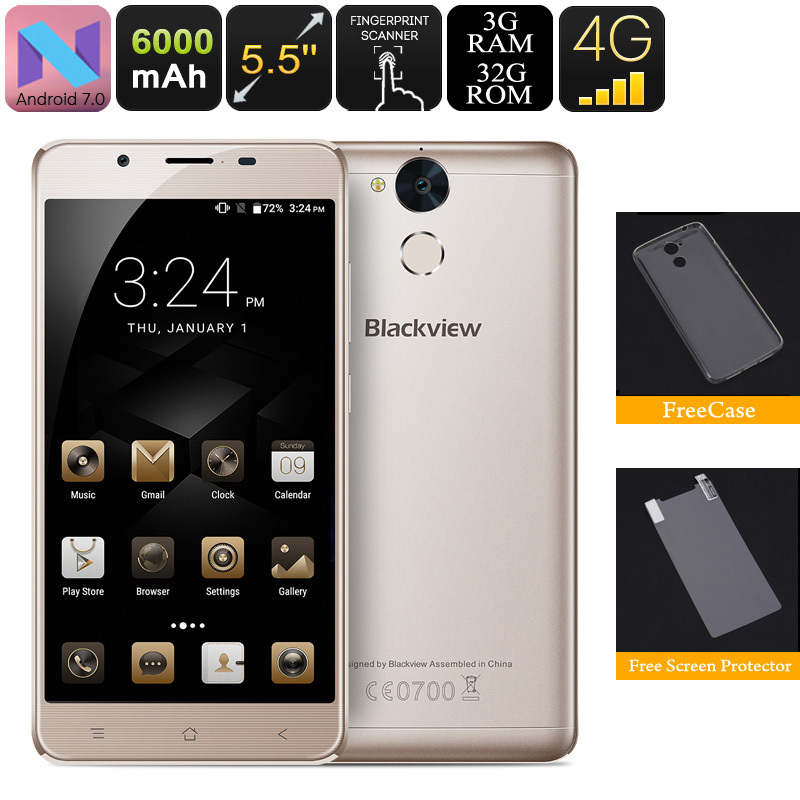 The Blackview P2 Lite features a mammoth 6000mAh battery and some eye-popping specs and an impressive cheap price. A full metal body and 2.5D arc screen give the P2 Lite smartphone a quality look and make it comfortable in the hand. With a 5.5 inch screen and that large built in battery, it is bigger than most phones but that's a small price to pay for a phone that boasts such good usage time. The 5.5-inch screen doesn't disappoint and brings FHD 1080P resolutions in a crisp quality. With good color depth and strong brightness, you are able to enjoy games and movies in superb quality even under direct sunlight. Equipped with an Octa-Core CPU, 3GB RAM, and a Mali T720 GPU there is plenty to get you excited. When it come to performance the P2 Lite does a decent job of launching apps and when multitasking or playing games the experience is smooth and seamless. That humongous 6000mAh battery will bring enough usage times that even the most dedicated user will struggle to use up all the power in a single day, in fact, the phone should happily last normal users 2 or 3 days without needing a recharge. Of course with OTG you can use this extra power to recharge other gadgets as well so the Blackview P2 Lite can double as a power bank should the need arise. There is 32GB of onboard storage on the P2 Lite and that should be sufficient for all your games, movies, music and apps, however, you can always double this storage with a micro SD card when the second SIM slot isn't in use. Dual SIM slots each supporting 4G connectivity bring fast mobile internet speeds so browsing the web and even stream HD content won't be an issue. With the ability to manage two SIM cards at once you can keep tabs on work and personal contacts all on this one device. A rear 13MP camera will bring high-quality photography and with the addition of a fingerprint scanner you'll have quick secure access without having to remember passcodes or screen patterns.